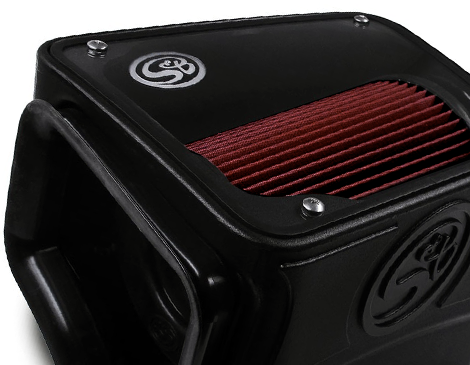 Our 75-5069 air box is huge and was engineered to maximize all the available space, providing better performance and more breathing room for a larger filter. 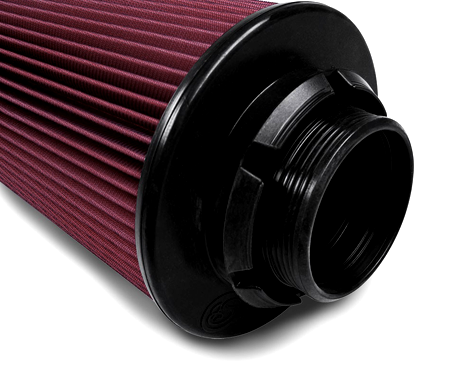 The air filter for this intake was designed to snap into place for easy installation and an air-tight seal that won't degrade over time. 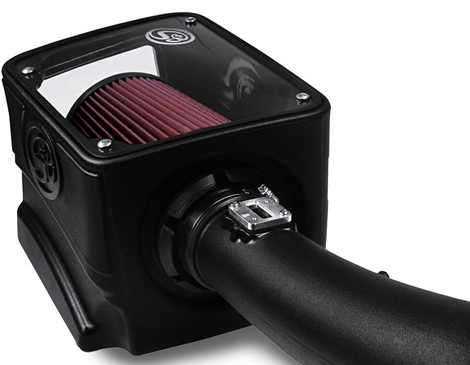 Premium silicone was used to build this kit's filter, inlet, coupler and tube sleeve. Silicone can withstand temps up to 400℉ and won't crack or tear with age. 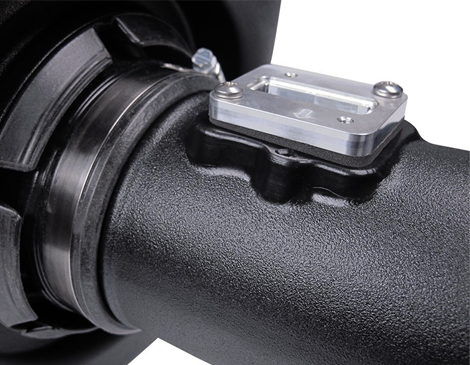 A billet-machined aluminum mounting adapter ensures the MAF sensor is installed properly. 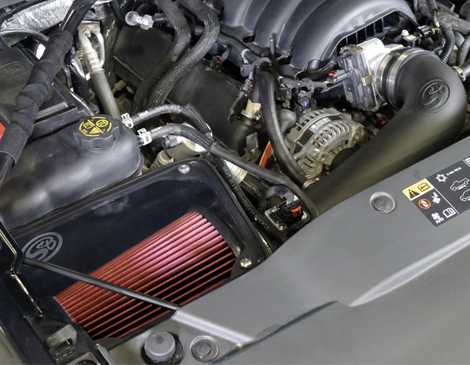 The 75-5069 intake kit for the 2014-2017 Silverado 1500 and Sierra 1500 trucks fits like a glove inside the engine bay and easily outperforms the stock system.